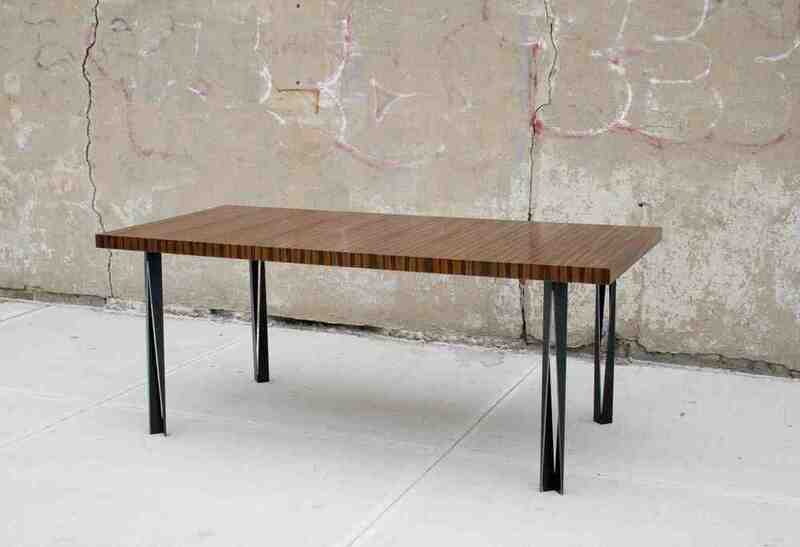 A new client in San Diego recently sent me some photos of a dining room table that he had commissioned from me. 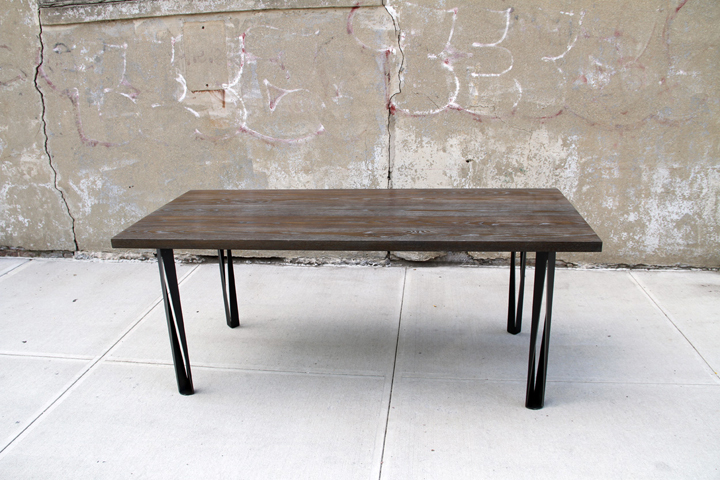 The table is 60" x 30" and the design is based on my Statuto Ring line of tables. It's always great to have photos of the furniture in its environment. Big thanks to Mark for being a great client and for sending the images. I opened the doors to my shop on Etsy this weekend. Lots of great Christmas gift options there (wink wink, nudge nudge) and I'll be adding more items this week. One of my fellow artists was kind enough to include my Bird's Nest Votive on her Treasury list. Big thanks to PoleStar! This summer, I began incorporating wood veneers into my sliding doors. Big thanks to my talented Hungarian neighbors for their expertise in wood veneering! Gramercy Tavern asked me to design some new light fixtures for their main dining room. Here are some photos of the work in progress and the finished product. This summer I helped my friend Denny work on a picnic table and benches for his girlfriend Amy. While he was working at my studio, he ran into an old friend of his, James, who was opening a new sound studio in the neighborhood. James needed monitor stands for his new space, so Denny and I hooked him up. Plumbers pipe, cut and ready to be pieced together.